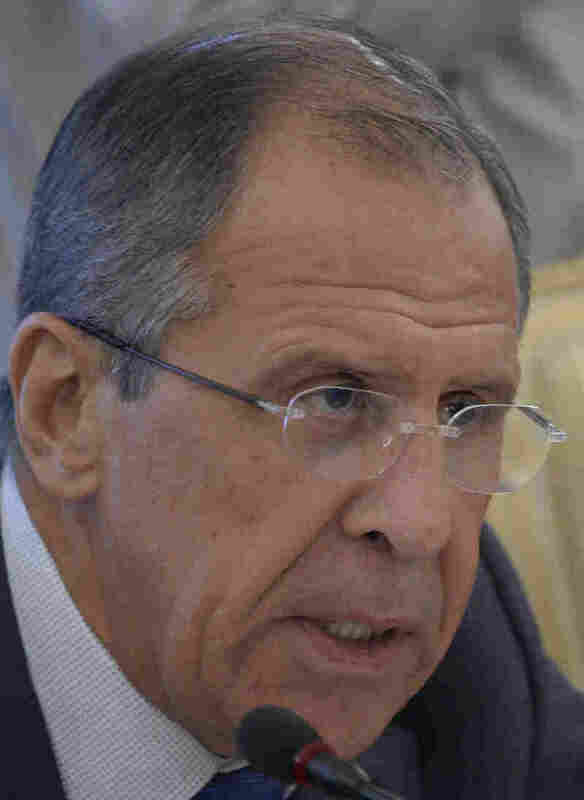 Russia Says It Will Implicate Syria's Rebels In Chemical Attack : The Two-Way Foreign Minister Sergei Lavrov says Russia will bring evidence to the U.N. Security Council. Russia is still, though, working with the U.S. to get Syrian President Bashar Assad's regime to give up its chemical weapons. Russian Foreign Minister Sergei Lavrov said Moscow will provide the U.N. Security Council evidence implicated Syrian rebels in a chemical attack. Russia's top diplomat says his nation will give the U.N. Security Council evidence that implicates Syria's rebel forces in the Aug. 21 chemical weapons attack near Damascus, the BBC reports. Word of what Syrian President Bashar Assad's strongest ally on the Security Council plans comes from Foreign Minister Sergei Lavrov. As the BBC reminds readers, "a U.N. report released on Monday concluded the nerve agent sarin was used in the attack in Damascus, in which hundreds were killed. The U.S. blamed government forces for the attack, but Russia and Damascus have insisted that rebels were responsible." Lavrov's words about what Russia will tell the Security Council, though, don't change the fact that he and Secretary of State John Kerry crafted a plan they say should lead to the Assad regime giving up its chemical weapons. On that point, The Associated Press adds that "Moscow is insisting that a new United Nations resolution on Syria not allow the use of force, but Russia's foreign minister appeared to suggest Tuesday that the issue could be reconsidered if Syria violates an agreement on abandoning its chemical weapons."